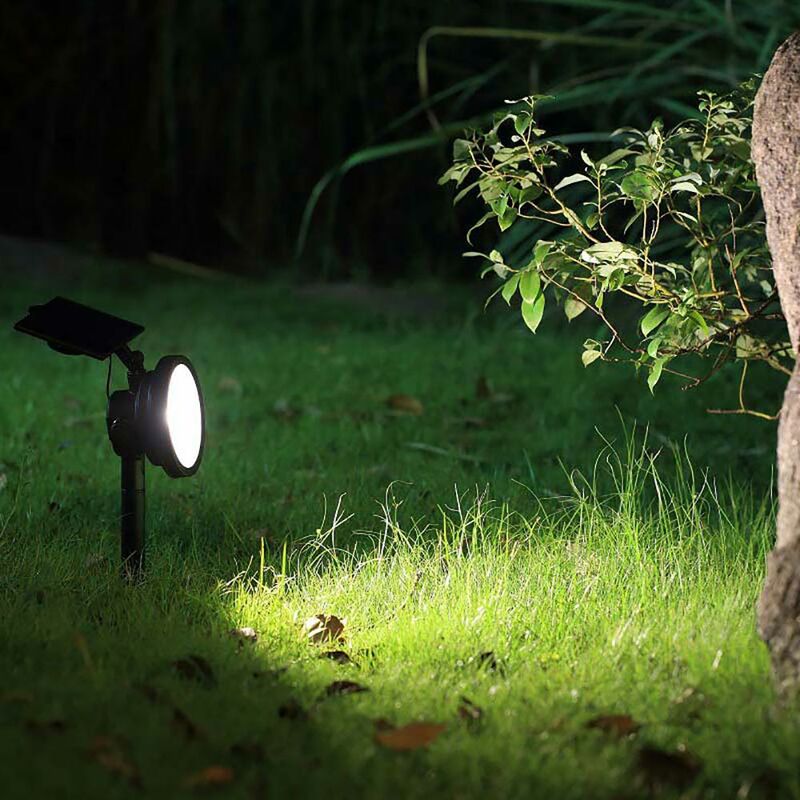 Premium grade warm white solar spot light designed to work year round outdoors in the UK. Rated at 100 Lumen. A rechargeable battery is included with this product. Lights a distance of up to 25 metres. Ultrabright technology for superior brightness and enhanced efficiency. The solar panel can be attached to the light or mounted upto 1m away. Hi again we have had some sunny days and have repositioned the solar panel slightly more towards the south. It is a little better but am getting maximum 3-4 hours decent quality of light after dusk. Whilst re positioning I noticed the lamp gets a lot brighter if you cover the panel at night but ofcourse its not practical. Following on from my review on 18/03/19 having used it now for a further 3 nights I am not 100% convinced! The charge is only lasting for a couple of hours if that and we have had a lot of sunshine. The spot light is south facing. It seems to light up very well just after dusk at approx 1900 but by about 2100 there is very little left in it at all. Not entirely sure if its a fault but ill carry on hoping it will improve maybe. Lets see. Excellent build and robust. Works very well so far. Used it for 1 day/night so far, was fairly bright to start and some charge left on it towards end of the night but was only partly charged.. Seems top quality, hope it continues to improve over the next few days..will be buying more if successful. The light switches on like dawn/dusk light. It switches off when driveway floodlights come on. Am considering the driveway lights, only concern is if lights are not the same luminosity depending on how much each light is charged? I am buying more of these. They're super bright, a quality construction and stylish. I just hope they last. Excellent spot and the attached cable link means you can position both the light and solar panel in the optimum positions ! First class idea. 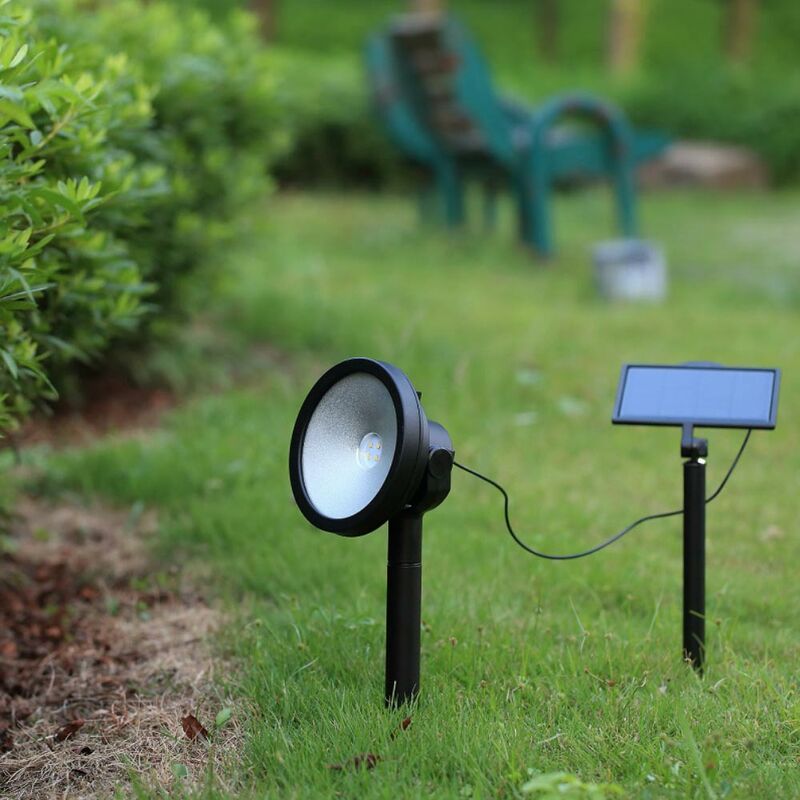 The Zeus Solar Spotlight is wireless, completely solar powered and fully automatic making it ideal for lighting large shrubs, trees or garden features. This robust solar spotlight produces a powerful 100 lumen warm white light after dark and has an illumination range of up to 25m. 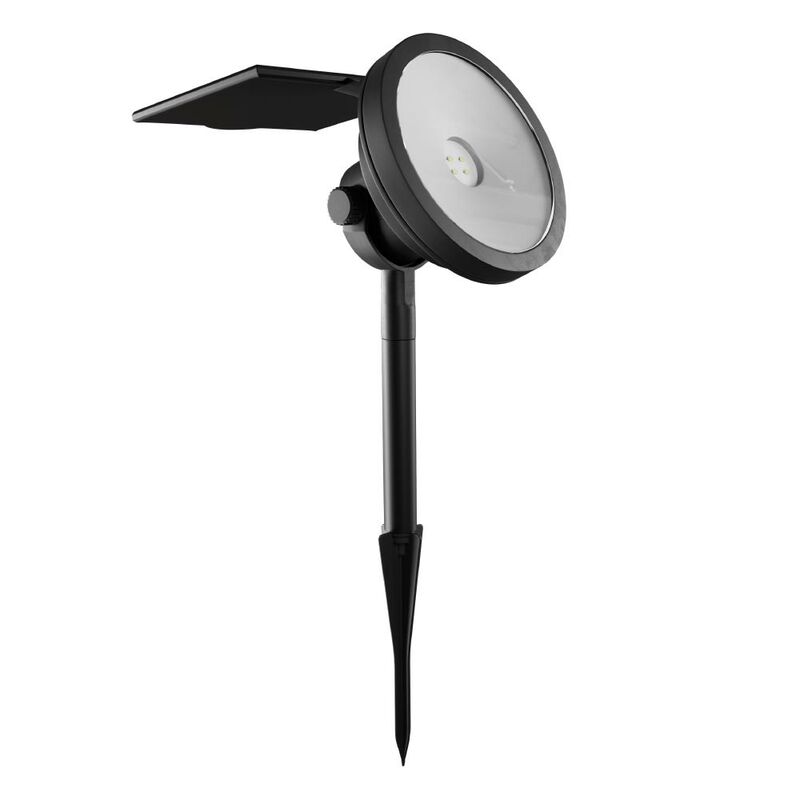 The Zeus Solar Spotlight incorporates a clever design which allows the solar panel to be attached to the light or positioned up to 75cm away with its own stake mount. What type of battery is installed? NiMH or NiCD? The switch is on the back of the light unit. Does this light have an on/off switch? Thanks. Yes, the Zeus has an off and on switch.